at sea level the EFR8374 turbo is tough to beat. I like the IWG version. I would run this, even at altitude I like the EFR8374. the 7670 is also a great option if you do more autox, tight circuit stuff. the efr8374 is like the michael jordan of basketball. He has a good vert, he can dribble, can shoot, has hands the size of a gigantic person, and knows the game. the efr7670 is more like a point guard who isn't as tall but can do almost all the same stuff (isiah thomas?). Looking at the data from turblown...the 8374 def looks like the better midrange/high rpm turbo.....big plus point is the lower egt's and Spools almost as fast as the 7670. Where are the EGT number comparisons. Missed those. Very tempted by the 7670 IWG 0.92 as my car is 90% road, but with the potential of more track work the 8374 1.04 EWG does appeal too, despite the additional expense of the EWG setup. I do not think anyone has done that yet. 99% of the kits we sells are the 8374. As soon as the engine is back together on our roadcourse car I am doing an entire dyno comparison days( back to back tests between 7670, 8374, 9180, iwg vs ewg, shortly vs long etc). I have all of the turbos, and manifolds finished sitting here ready for it. On a 20B I would just run a 9180( with the 3" vband inlet option we carry). I would use a 9180 if the rules allowed me....do you think the 8374 is to small for 500-550 hp on a 20b? Will it choke to death by backpressure? if you are restricted on compressor inducer to an EFR8374, my suggestion would be the 1.45 a/r. that is an outstanding combination. invest in a turbo shaft speed sensor. you and me both! EFR 8374 is *that* good. I pulled my 8374 off my evo, to try some other turbos.. but now I think its going back on. What could one expect with a similar setup but pump gas 91 with water/meth injection instead of e85? Also, what's the reason behind the 1.5" runners on the manifold? Is the larger 2" just not needed? Just wondering. Interested to see what results Turblown is able to achieve. I will have a GTX4202 vs EFR9180 with 1.45 rear comparison coming soon. Back to back on the same car. Just sorting out some issues with the car so hopefully not long. yes, go look at the raceonly facebook page. 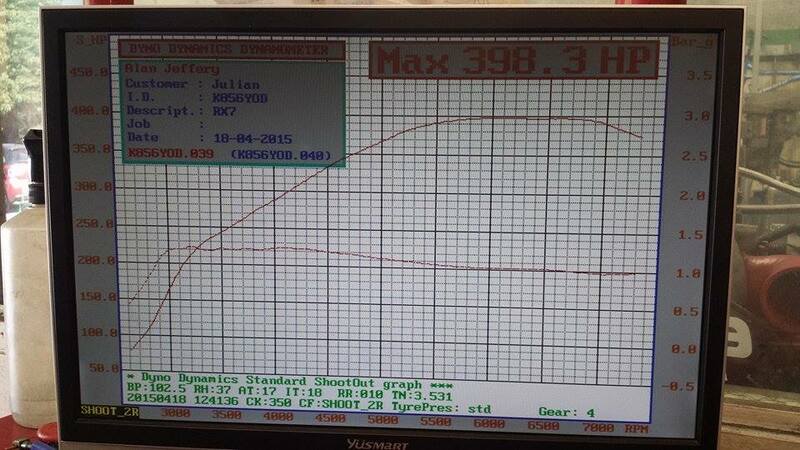 515rwhp was the max recorded. We have a ported motor going in now, and we will be testing all 3 turbochargers back to back( 7670/8374/9180 IWG). I have all the turbochargers here ready to go. Sorry should have been more specific....any updates/results on the above turbos being tested on the ported motor? Wow, I was 100% on the 7670... but the 8374 is interesting. I'd like to know what's the power you can get from each on 91 octane, subscribing to this for dyno shootout! 7670 IWG @ 1.1 bar, pump gas, stock ports, stock ignition( 9s), 3" exhaust, vmount, bosch 044 etc..
Whoa, 400 whp on pump? Have you seen that with the 7670 in the states? On 91 octane? 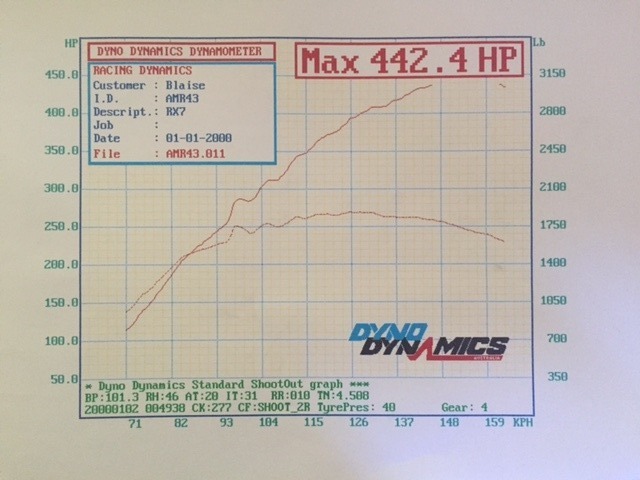 I have made 440rwhp on the airwerks 7670 on pump only(22psi). Am running the 8374 with 1.05 hot side fully divided short manifold and twin external gates on my mildly ported 13BREW. Is running E85 fuel. Was chasing area under the curve and response as opposed to peak number as it is a tarmac rally car. 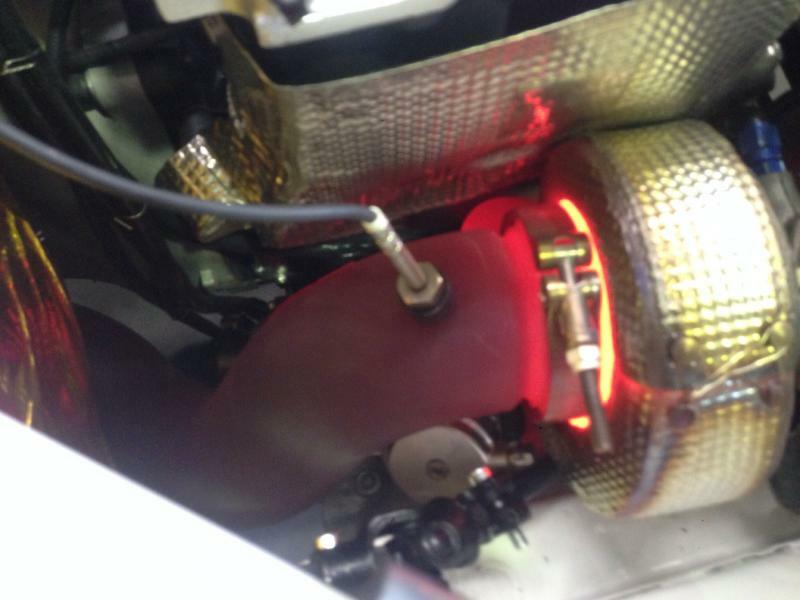 Car is running 20psi, is hitting that at approx 3200 rpm and making 442 ATW. Am very happy with the results. Great initial spool up and power, epic midrange and top end and great transient response on and off the throttle. Spool is just always there. The minute you breathe on the throttle its making boost. I would have considered the IWG for simplicity but they were an unknown quantity as to whether the internal gate could cope with rotary flow when we were at that stage of the build so we erred on the side of caution with the ext gate setup. Also what gearing are you running? Or did you stop at 6K rpm? Unfortunately never actually ran the tdx61r. Made the manifold and everything but once I saw the reports of what the EFR was doing I gambled on it being the best way forward. Would definitely be interesting to see how the TDX61 stacks up though. What is the rpm spread in this graph above? The torque curve looks excellent! All these efr threads are making want to ditch the 6266 .